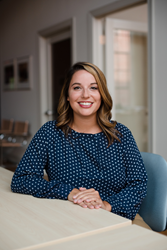 operateIT, a kitchen and bath industry-specific technology services company, has announced that it has expanded its team to include Zoey Rothwell, Customer Service Specialist. operateIT's software is currently available exclusively through the SEN Design Group under the private label, SEN Network Management System (NMS). Rothwell will assist operateIT users with customer service inquiries, implementation questions, and also serve as a liaison between users and the development team. Rothwell received her Bachelor of Science in Hospitality Management from Florida State University. Based in Long Island, NY, operateIT is an industry-specific technology services company that is also 98% owned by businesspeople who make their living in the kitchen/bath industry. Its flagship, cloud-based application suite, CompuTool Connect, is designed for the trades, instills best business practices, and provides a familiar work flow from inquiry to ordering, creating an effective operating system for a kitchen and bath business. The application suite is full cycle, which replaces a multitude of legacy, single-focus tools; it also offers 3rd party integrations such as 20-20 on the front-end and Quickbooks on the back-end.. Vendor catalogs, mounted on the platform, make it easy for products to be specified and priced into projects. The company is headed by CEO Keith Tobias who has been providing residential construction trade software solutions for over 22 years. Ken Peterson CKD, a 48-year kitchen/bath industry veteran, serves as a strategic consultant and Chairman of the Board.